Previous: Want to Win a Watch? We’ve probably all seen the M&S adverts, and many of us may even shop at Marks & Spencer. 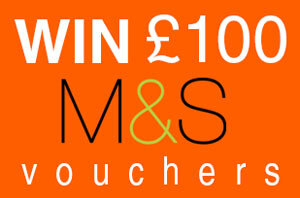 As the RAC – who provide breakdown cover and car insurance to its customers – are offering the chance to be a winner of £100 M&S vouchers! You’d need to fill in a survey to be in with a chance of winning, as there will be a draw to decide.